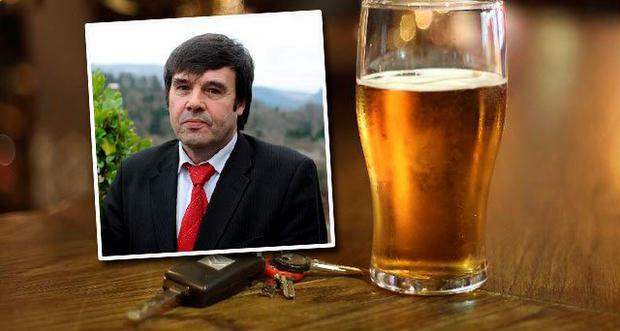 A Kerry judge has given a 60-year-old bachelor farmer who lives in an isolated area a six-month delay on a drink-driving ban so he has time to find a "good woman". John O’Shea, of Derrinadin, Mastergeeha, had previously pleaded guilty to driving with excess alcohol at Tarmons, Waterville, on July 25, 2014. Mr O’Shea’s solicitor John O’Dwyer, son of the football legend Mick O’Dwyer, reminded the court in Cahersiveen that “football had been his downfall on the day”. The court heard how Mr O'Shea had gone to Waterville for animal feed for his cows and ended up talking about Kerry’s performance in the Munster Final while consuming alcohol. He also forgot to eat on the day. He hit the ditch while driving home in what was a single vehicle accident. Mr O’Shea lives in an isolated valley around six to seven miles from Waterville and would be at a severe disadvantage if put off the road immediately, Mr O’Dwyer pleaded on Thursday. The judge decided he would not be put off the road until December to allow him to make arrangements for his cows and possibly find “a good woman” at Lisdoonvarna who could drive him around. “Are you going to stay single or are will you to take the plunge?” Judge O’Connor asked Mr O’Shea. “You’d never know now with Star Wars,” Judge O’Connor suggested in reference to the increased visitor numbers to south Kerry after the filming on Skellig Michael. “He’s living alone,” the solicitor continued, “and his relatives are residing in Cork”. Judge O’Connor asked whether he had “good neighbours“ and Mr O’ Shea said they were “alright”. When asked how many cows he had, Mr O’Shea told the court he had “13 or 14”. “He’s a big football fan and that’s his downfall,” Mr O’Dwyer continued. Judge O’Connor replied that religion, games or politics should not be discussed in pubs. Women were another subject that should not be discussed, Killarney solicitor Padraig O’Connell suggested. However it was "all consensus about Kerry on the day," Mr O’Dwyer said, asking again if is client could not be put off the road until after the summer. Being off the road he would find it very difficult to continue working with the cows and he’d have to make arrangements to get rid of them, Mr O’Dwyer said. “Or find himself a nice woman!” the judge advised. If the extension went beyond September it would allow him to go to Lisdoonvarna, Mr O’Dwyer agreed. Judge O’Connor said it was not the purpose of the State to “nail” people in terms of undoing their livelihood and he granted the adjournment to December 8th. On that date it is expected Mr O’Shea will be convicted and disqualified for the mandatory three year period.